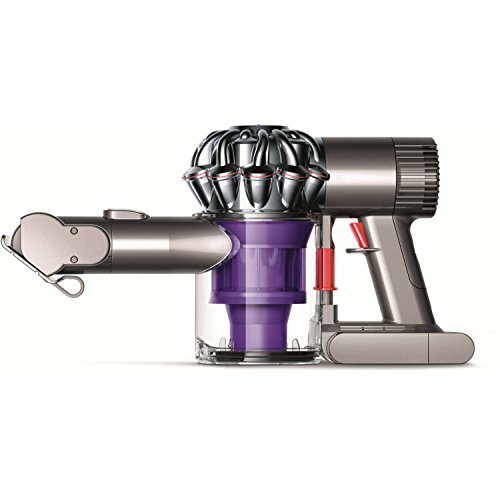 DC58 is Dyson’s latest handheld vacuum cleaner. 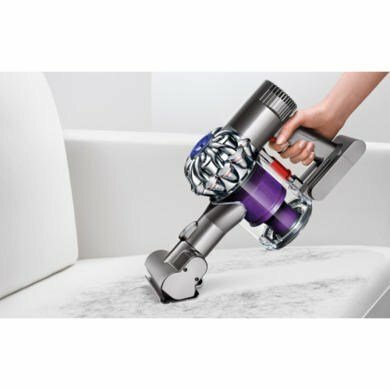 It’s powered by the Dyson digital motor V6, which spins up to 110,000 times?a minute – up to 3 times faster than conventional motors. This 350W motor has a higher wattage than its predecessor and contributes to the machine’s ability to produce powerful suction. 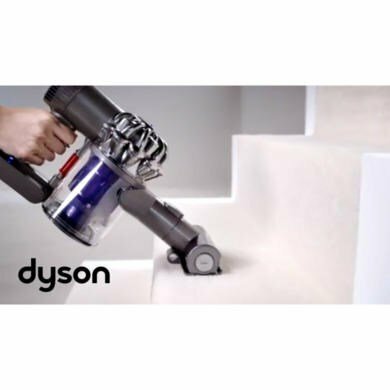 DC58 is the most powerful cordless vacuum. Suction is also enhanced by 2 Tier RadialTM cyclones. 15 cyclones, arranged across two tiers, work in parallel to increase airflow and capture fine dust. Microscopic particles as small as 0.5 microns are captured from the airflow. Delivering fade-free power, DC58 has a re-engineered nickel manganese cobalt battery that has been customised to provide the level of powerful suction and battery life that the machine needs. 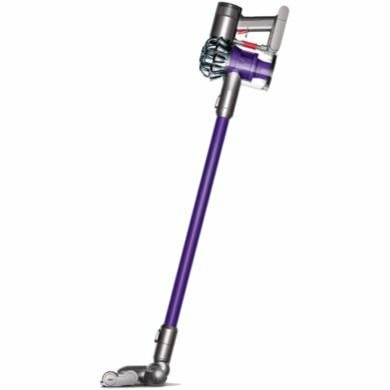 It recharges up to 3 times faster than others and delivers a run-time of 20 minutes’ powerful suction, or 17 minutes when using the motorised tool. 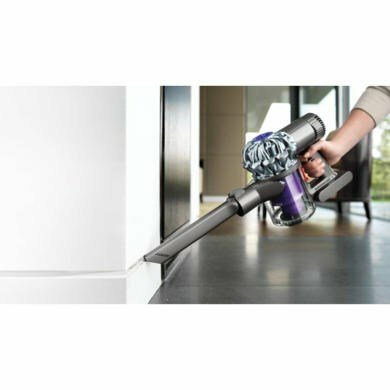 It also has a Boost mode which provides 6 minutes of higher suction power at the push of a button. 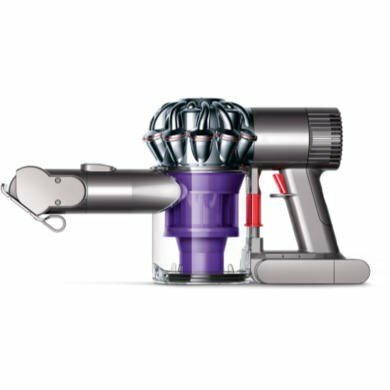 As with all Dyson machines, DC58 comes with extra tools for all-round cleaning. 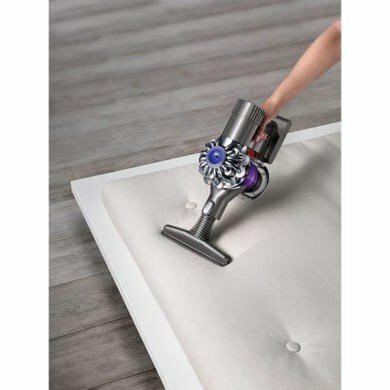 The nozzle on the combination accessory tool converts to a brush tool for dusting. The crevice tool is useful for cleaning in tight gaps and narrow spaces. DC58 Motorhead also comes with a Mini motorised tool for tough tasks. 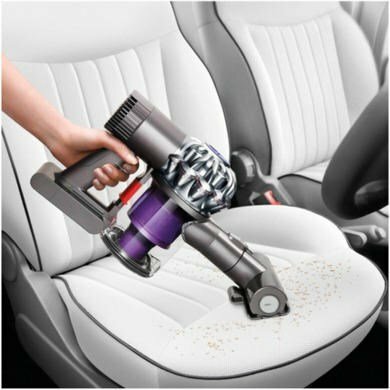 It removes hair and dirt from upholstery and confined spaces. The ergonomic design of DC58 means that it fits naturally into the shape of the hand, with the centre of gravity located towards the grip for easy handling. As well as cleaning around the home, DC58 is ideal for cleaning throughout the car – footwells, upholstery and beneath seats.